Feel like you are on vacation in this private tucked away 2 bedroom/2 bath condo plus office area with vaulted ceilings, brick wood burning fireplace, inside laundry and spacious balcony to relax on after a hard days work and a gated pool and spa. There is a large one car garage with extra storage and a driveway to park a 2nd car. Close to shopping, restaurants and public transportation. Fabulous location!!! 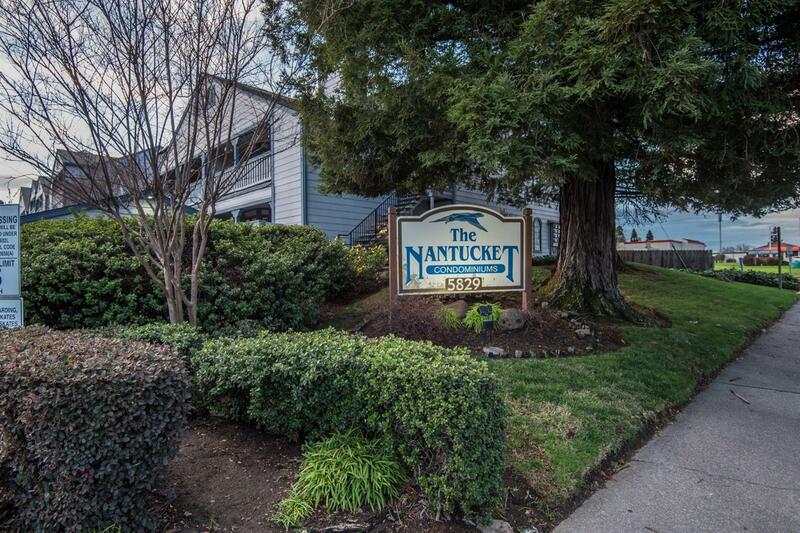 Located in the small community of Nantucket with only 54 units. Rare find!!! Hurry on this one.